The first book to be featured on the Jo Whiley Radio 2 Book Club will be Golden Child, the powerful debut novel by Claire Adam. It is released on 17 January and Claire will be on the show on Monday 21 January. We have the chance for you to win 10 copies of this fantastic novel for your reading group! Please enter by Friday 25 January. We also have an exclusive extract available for you to try. Not yet a member of Reading Groups for Everyone? Sign up now. A deeply affecting debut novel set in Trinidad, following the lives of a family as they navigate impossible choices about scarcity, loyalty, and love. 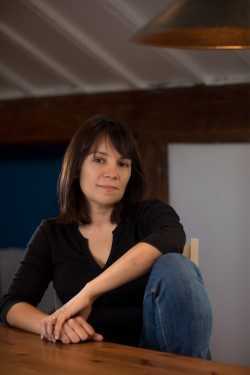 Claire Adam was born and raised in Trinidad and Tobago. She was educated in the US and now lives in London with her husband and two children. Golden Child is her first novel. 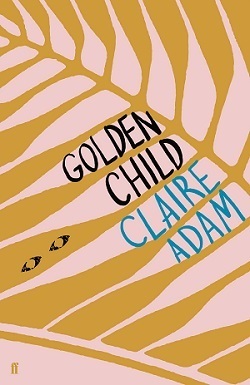 “I’m so pleased that Golden Child has been picked for the Book Club! 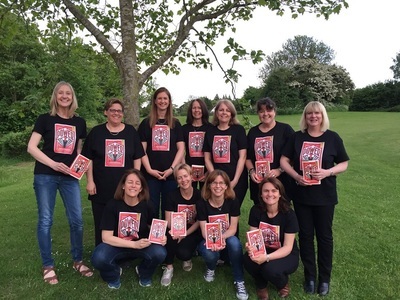 I think book clubs are such a wonderful way of bringing people together – they create an opportunity to take a breather from politics and Brexit-divisions (I write this in January 2019) and all other forms of bad news, and to just chat with other real, live human beings about a story you’ve read. Even if you haven’t read the story, just listening to a discussion about a book can give you so much food for thought. I think Golden Child offers plenty for book clubs to get their teeth into: we can talk about family, about fatherhood, about masculinity, sibling rivalry, adolescence, sacrifice, hard choices, moral dilemmas…There’s plenty here to be dissected and argued over. Thank you so much to all the librarians and The Reading Agency who’ve read and recommended my book. Librarians have pushed many a book into my hands over the years, and it’s such a privilege to be able to repay the debt in a small way, by adding Golden Child to the shelves of these wonderful and life-changing and constantly-threatened-but-as-yet-surviving treasure troves which are our libraries." Tune in to Jo Whiley’s show on Monday 21 January to hear a live interview with Claire. You can share your thoughts with us about Golden Child on Twitter. You can also follow Claire Adam. Add the book to your group’s reading list. Planning to buy Golden Child for your group? Buy from Hive and support The Reading Agency and local bookshops at no extra cost to you. Want to make sure you get the latest news? Follow us on Twitter, Facebook and Instagram. You can join the Radio 2 Book Club Facebook group, and also follow Jo Whiley on Twitter.